SPH REIT has announced its first overseas acquisition; an 85% interest in Figtree Grove shopping centre in New South Wales Australia for AUD188.2m (SGD188.2m). We see this as sound diversification, with the property’s tenancies supported by its non-discretionary retail focus and long WALE. While it will just add 1-2% to DPUs, expectations of further inorganic growth opportunities have been raised. That said, investors will need patience, given the limited visibility of its long-discussed potential Seletar Mall deal. Reiterate HOLD with a new DDM-based SGD1.02 Target Price (WACC 6.9%, LTG 1.5%). We prefer Frasers Centrepoint Trust (SGX:J69U) for its suburban-mall footprint and prospective 4.5% 3-year DPU CAGR. SPH REIT’s proposed acquisition of an 85% interest in Figtree Grove in New South Wales marks its first overseas transaction. Located 3.7 km south-west of the Wollongong CBD, Figtree Grove is a freehold sub-regional centre sitting on 50,900 sqm (547,883 sf) with GLA of 21,984 sqm (236,634 sf), including 940 carpark lots. It is one of several properties in Blackstone’s estimated AUD3.0b divestment pipeline. Tenancies are anchored by a 24-hour Kmart, Coles and Woolworths supermarkets (in total leasing 58.4% of the space), two mini majors and 72 specialty stores. 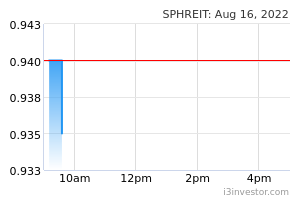 SPHREIT’s AUD188.2m acquisition cost includes a stamp duty (AUD9.6m), acquisition fee (AUD1.8m) and professional expenses (AUD1.7m), with a 12-month rental guarantee capped at AUD0.8m. To be fully debt-funded, the transaction is expected to achieve a 6.0% NPI yield (5.7% post-costs), add 1-2% to FY19-20E DPUs and will make up 5.2% of its AUM. We see this as another sound initiative following its recent Rail Mall deal, given the property’s focus on non-discretionary retailing, high 98.5% occupancy, long WALE of 5.4 years by income & 7.8 years by GLA and well-staggered lease expiries. It is ranked 16th out of 100 Little Guns centres with GLA of 20,000-50,000 sqm. Total retail sales of AUD10,551 psm are almost 50% above the benchmark for malls in the same category. Management aims to mitigate in-market risks through its local JV partner, investment firm Moelis Australia (MOE AU). 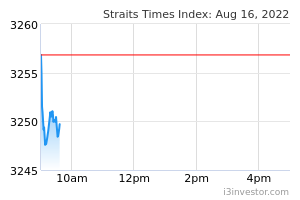 Gearing will rise to a still-comfortable 30.1% following this deal, leaving SGD600-950m in debt headroom.